Humax has released a statement assuring users of its 9150T, 9300T and 9200T Freeview+ digital TV recorders that any problems they are having with the machines will be rectified in an upcoming software update. A number of forums have been reporting issues with the set-top boxes, ranging from freezing screens and the EPG not updating properly but Humax seems to be listening and is busy trying to sort out the problem. It seems that the Humax engineers are preparing a software fix which will comes as an over-the-air update in the coming weeks. This is said to improve performance and future-proof the machines against any other problems that may occur. 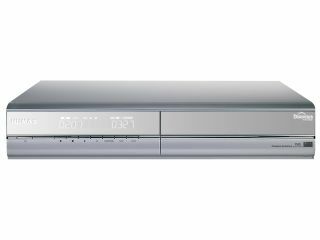 "Humax is very aware that, for several months, some customers have been experiencing a slowdown in operation and usability issues with our PVR models," explains the statement. "Resolving these issues has been a priority for our technical team who have been working diligently on a fix, but unfortunately, due to the complex nature of the issues, it has taken much longer than we had hoped to develop new software to sort out the PVR issues. "However, I am pleased to be able to inform you that our technical team has developed a software solution that will dramatically improve the user experience and address issues such as freezing and locking up. "We have also ensured the new software mitigates the risk of future problems and have taken this opportunity to introduce a new feature as part of the upgrade to significantly reduce the time it takes to display the on-screen electronic programme guide (EPG) information, from many minutes to seconds." The slowdown has been put down to "The increasing complexity of the UK's broadcast infrastructure and requirement to process a substantially higher volume of information". Essentially, the digital switchover has caused something of an info overload, which in turn lead the machines (in particular the 9200T) to suffer from slowdown and the like. The automatic over-the-air software download for the fix will be available "in a matter of weeks," with exact dates to be confirmed soon. If you want to be kept up to date with all things Humax, then sign up to their Twitter and Facebook pages. Humax has also released the email address uksupport@humax-digital.co.uk for those who want to contact them.